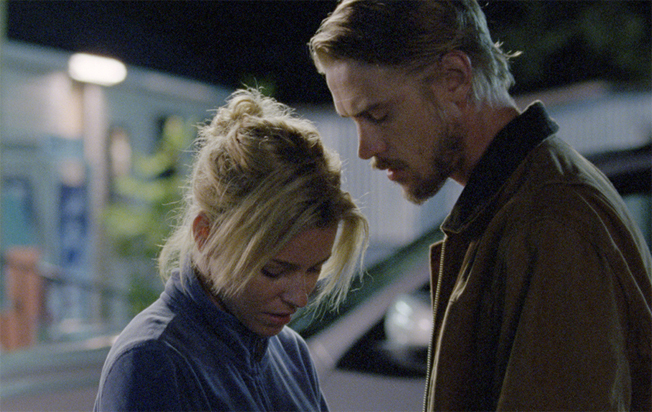 Boyd Holbrook plays Amos, a coal miner who is the sole survivor of a recent mining accident in this home town that left ten of his co-workers dead, which was caused by upper management negligence. Upon his return home after a few months in an out-of-town hospital, he is still without use of most of his right side, and is still trying to put the pieces back together of what happened. He is physically and emotionally drained at this point, and Holbrook pulls this off nicely. 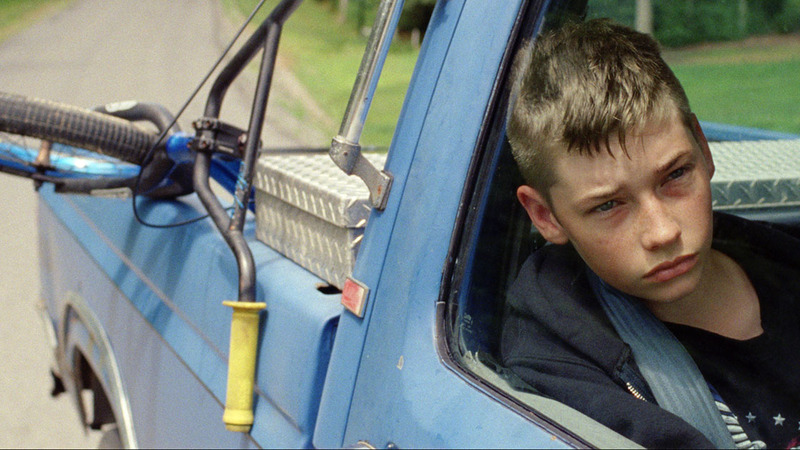 Meanwhile, high-school freshman Owen (Jacob Lofland, Neckbone from last year’s ‘Mud‘) is the son of one of the dead mining victims, where his mother (Chloe Sevigny) is constantly showering him and his younger brother with down syndrome with the newest video games and electronics to keep them happy in the short term. Owen bring his younger brother along to play with some of the other older kids in school, but they all tend to rag and bully the two brothers constantly, even though Owen wants to fit it. Among these bullies is JT (Travis Tope), who is the son of Bill Doyle (Josh Lucas), who is one of the head managers of the coal mine and directly responsible for the tragic event that left ten miners dead several months ago. During a conflict in the woods with Owen and JT, Owen is accidentally involved in JT’s death, and not knowing what to do, he hides the body and does not tell anyone about it. Meanwhile, Bill and his wife Diana (Elizabeth Banks, amazing) conduct a major search for their son with the whole town. There is certainly an undertone of the class system here, but it is never ‘too on the nose’, which was nice to see. And being set in a small town, it wasn’t that weird to see new relationships form, such as a grieve-stricken Diana taking up a suitor in Amos and befriending Owen, when not one of them knows all of their dirty secrets. I imagine in its true form, ‘Little Accidents‘ is about being honest with one’s self and being guilt free, but it takes quite a bit of time to get to this point. There are several instances that are drawn out over the course of the film with much build up, but don’t receive a pay off or even a conclusion. I would hope that the three hour cut defines these characters better. The acting by everyone is top notch, and they all deserve some sort of group acting award. And Colangelo’s artistic eye is beautiful and stylistic, although there is room for work in the editing room. ‘Little Accidents‘ is a good film about honesty, despite its flaws. And I expect big things in the future from Colangelo. This entry was posted on Saturday, April 5th, 2014 at 12:48 pm	and is filed under Film, News. You can follow any responses to this entry through the RSS 2.0 feed. You can skip to the end and leave a response. Pinging is currently not allowed. « DIFF 2014 Film Review: ‘Evolution of a Criminal’! !